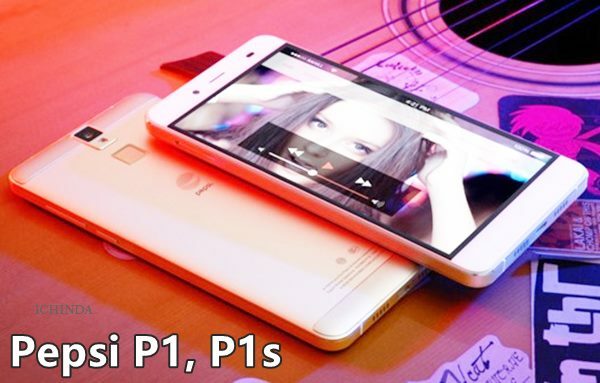 Great news for Pepsi lovers, Pepsi has launched two octa-core smartphpone, the all new Pepsi P1 and Pepsi P1s in China. Pepsi P1 and Pepsi P1s is available in China through jd.com at 499 yuan (Rs. 5170 / US$ 78 approx.) which is out of storck. Now you can order at 699 yuan (Rs. 7250 / US$ 110)(Limited 1000 orders) than another 1000 unit will go on sale at 999 yuan and after that it will go on sale at 1299 yuan in Blue, Gold and Silver colors option. The Pepsi P1 and the P1s shares same platform but only difference is Pepsi P1s supports China Unicom FDD-LTE. The all new Pepsi P1 and Pepsi P1s support Finger Print Scanner, Dual-Hybrid SIM, 4G LTE,(Speed 150Mbps Download speed/ 50Mbps Upload Speed), NFC, GPS, 3G, Wi-Fi and Bluetooth runs on latest dido OS based on Android 5.1 Lollipop OS powered by the most powerful 1.7 GHz Octa-core MediaTek MT6592 processor with Mali 450-MP4 GPU with 2GB RAM offers you blazing multitasking allows to run your apps smoothly while 16GB internal memory(No MicroSD card slot) offers you enough space to store your favourite data. Pepsi P1 and Pepsi P1s comes with a bigger 5.5”-inch Full HD (1,920 x 1,080) IPS display, 441ppi with 2.5D Curved Touch Panel and Corning Gorilla Glass 3 protection with wide angle HD viewing perfect for watching movies, playing games and reading e-books weight just 143gm and measures 152.2 ×76.2×7.7 mm and weight is 158gm. Pepsi P1 and Pepsi P1s sporting a 13-MP rear camera with dual-Led flash, PDAF (Phase Detection AutoFocus) perfect for low light photography and a 5-MP front facing camera for clicking selfies and making video call packed with a 3000mAh non-removable battery with battery stamina mode promising talktime up to 20 hours and standby time up to 500 hours. At last few honest word that Pepsi P1 is the best mid-range smartphone with rocking features. What you think? Please be first to write a review. When pepsi p1 will be available online for buying? Xiaomi H3Y With Octa-Core SoC, 13-MP+5-MP camera will launch By July At Rs 10,000.